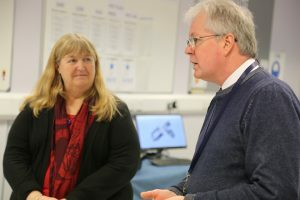 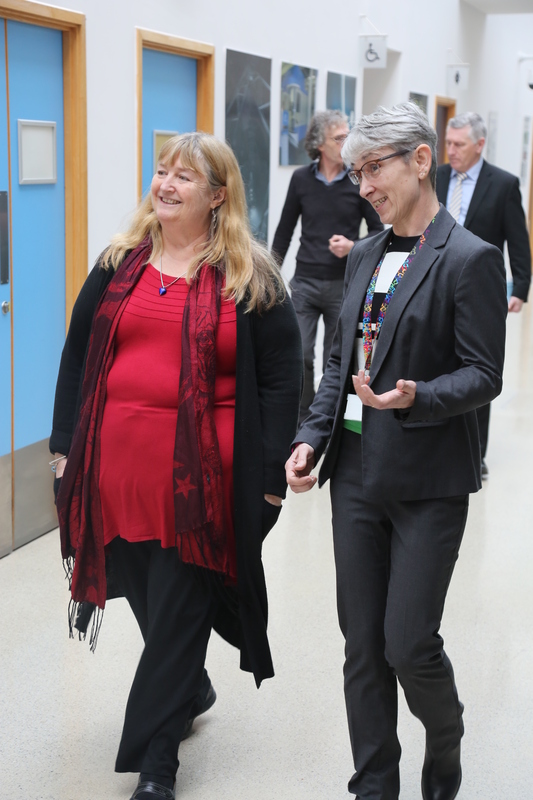 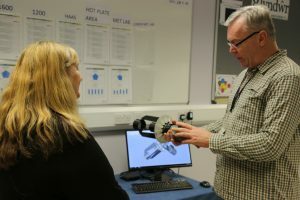 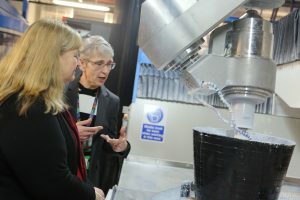 Wales’ Minister for Science and Skills Julie James was “so impressed” during a “fantastic” visit to Wrexham Glyndwr University’s OpTIC Centre in St Asaph this morning. 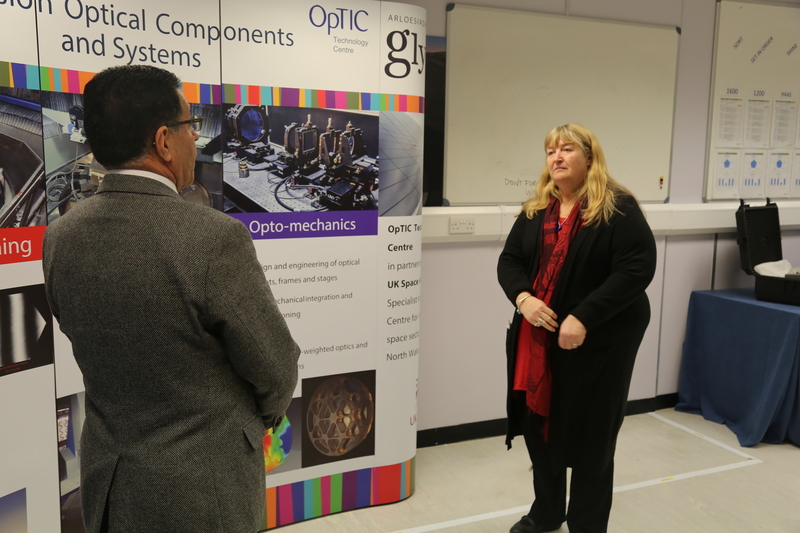 It was a pleasure to have her with us to talk about innovation and research in North Wales. 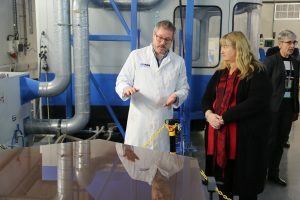 Dr John Mitchell talks to the Minister about the polishing of very large mirrors. David Thomson from the engineering team shows the Minister a prototype of the Ultra lightweight telescope system the team is developing. 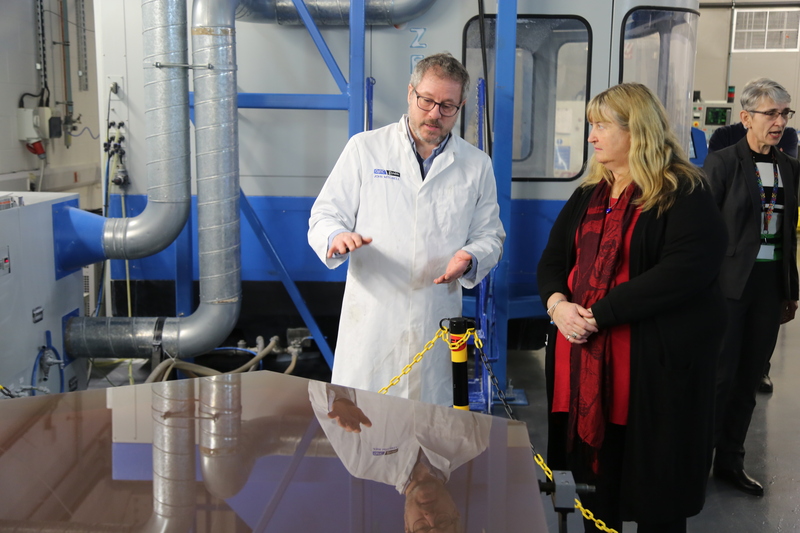 Caroline Gray , OpTICs Site Director explains the process of CNC polishing on the large machines based at the centre.